Simply put on the flange, the new sealing rings protect iglidur plain bearings and components behind them from extreme dirt accumulation. 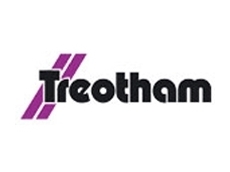 Treotham introduces a new range of seals from igus for maintenance-free plain bearings. By providing additional hygiene and protection against extreme dirt accumulation, the new iglidur sealing concept allows for longer service life in bearings. When plain bearings are exposed to heavy dirt, abrasive dust, aggressive media and other extreme conditions, the resultant stress can damage the shaft. 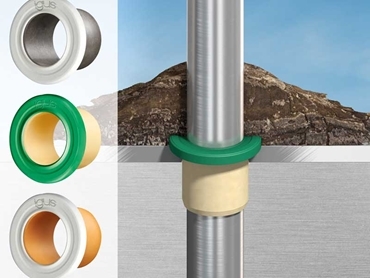 To further optimise the safety of machinery and plants in these situations, igus has now developed sealing rings for its lubrication-free polymer flanged bearings. When put on the flange, the seal protects the plain bearing and components behind, eliminating machine downtime and increasing service life. 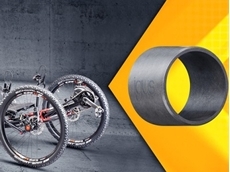 Designers looking for long-lasting plain bearings for their application, which can withstand dirt, dust, chemicals, wind and weather, are recommended the lubrication- and maintenance-free iglidur plain bearings made of high-performance plastics. Unlike metallic versions, dirt does not adhere to the polymer bearing; additionally, the polymer version cannot rust. Applications involving construction or agricultural machinery involve extremely high levels of dirt accumulation. 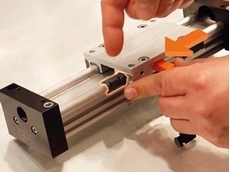 igus has now developed an additional safety concept in the form of sealing rings. Available from Treotham for all igus flanged bearings, the new seals come in all dimensions and for more than 50 materials, making a wide range of application-related material combinations feasible. The flexible sealing rings are simply slipped onto the flange to provide protection against the ingress of dirt and media into the plain bearing and components behind it. For applications requiring additional lubrication, the sealing ring ensures that the lubricants do not press out of the bearing. 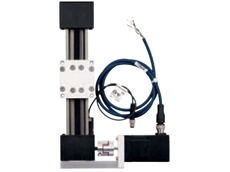 The wear is further reduced, the shaft is protected from corrosion, and the service life of the application is enhanced. Treotham offers these sealing rings in an all-rounder material for all igus flanged bearings as well as in an FDA-compliant material, which is particularly suitable for use in the food industry. The FDA-compliant seal works in combination with the flanged bearings made of FDA-compliant materials such as iglidur A160, A180 and A350, to protect bearing points and components from aggressive cleaning agents while optimising hygiene. 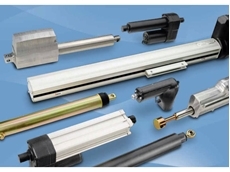 All-rounder sealing rings are ideal not only for agricultural and construction machinery but also for general mechanical engineering applications involving slow-running pumps and conveyor belts as well as actuators in the automotive industry. The plain bearings with seal are ready to install, supplied as a complete solution, and available in different models and combinations according to customer requirements.